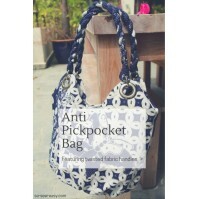 Take a look at some of the bags you own. If you are a typical woman, you probably own more than 3, maybe even more than 10. 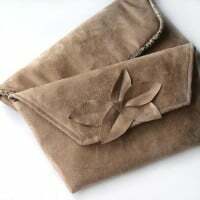 Bags can be made for all types of purposes, styles and occasions, but generally they are all designed to do the same thing – carry things. 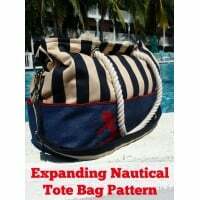 To fulfill their basic function, they will usually have common features such as straps or handles, zips or closures, and pockets. 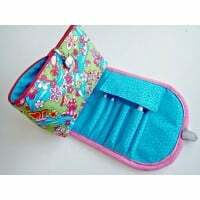 They can be flat like a simple tote bag designed to carry a few light items and perhaps roll or fold up flat, or can be designed where their size and shape fit a certain function, such as the Easy Cosmetics Bag you see here. 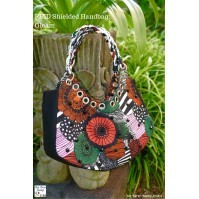 One common feature that most bags will have is some kind of volume. 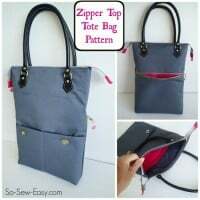 Whether this is created with pleats, darts or a squared off bottom, the bag is given both design and volume by shaping at the bottom so that it can carry out its intended purpose and give you the space you need to carry things. 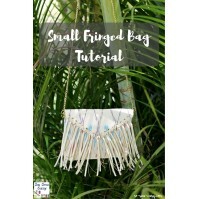 The volume at the bottom in a bag with boxed corners can be created 3 different ways. Two are similar, one is different. 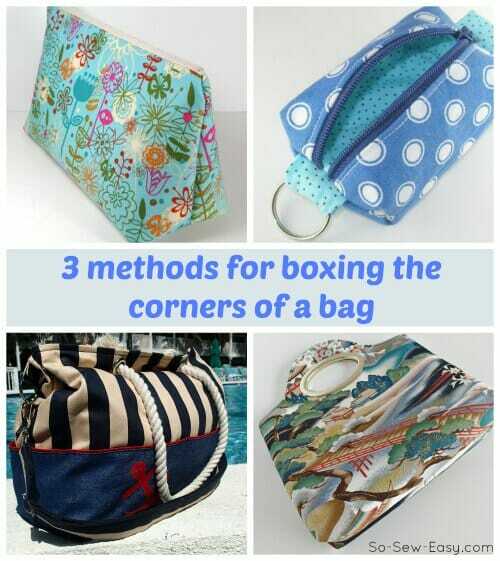 Let's take a look how to do it with these 3 methods for boxing corners on bags. 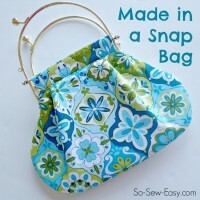 So now you have a few ideas for how you can create some shape and volume to a basic bag. 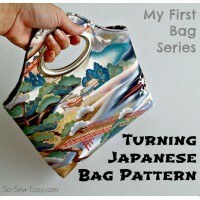 You might like to try out a few of these bag patterns. 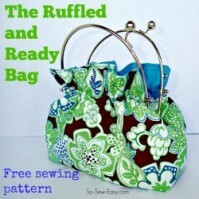 Are there any other aspects of sewing bags that you would like to learn more about? Check out the Tutorials Page in case its already covered, and then leave a comment below and let me know. I wanted to thank you! Although I’ve done boxed corners #1 & #2 many times, I’ve never been told or understood how the the size boxed correlates to the width of the bottom! So simple and yet, I haven’t noticed that it was mentioned. Nice explanations and I’ll have to try #3 as well. Amazing! what is the name of this fabric please? Thank you for this and all your wonderful videos! 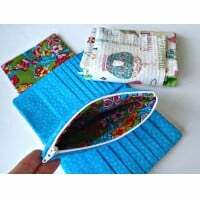 I have a question about method #3 … how would one work this type of boxed bottom and also have a lining which keeps all the seams from showing? 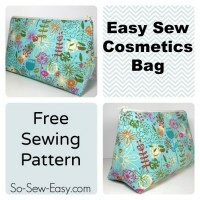 (A lining like in the bag you made when showing how to sew a recessed zipper – the kind you sew leaving a hole in the bottom of the lining, then turning the bag.) Somehow, could method #3’s box bottom method work with a lining? I hope my question makes sense! I think it would work OK. You would sew the lining the same as the outer, but leave a gap either in the center bottom or one of the side seams, then box the corners as shown. It will be exactly the same as the outer but facing in instead of out. You would have to try it though, could be a bit bulky and you might want to use one of the other methods for the lining and method 3 for the outside. Let me know how you get on. Both will show you how to add the handles. 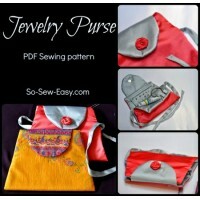 I want to try the third method but need a pattern because I don’t know how to incorporate the lining and zipper. 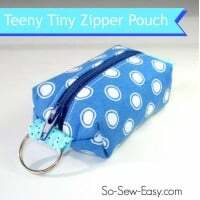 I love your Teeny Tiny Zipper Pouch YouTube video and have made several for little gifts to give to friends and family. Your instructions were easy to follow. My first attempt to make one was a breeze. Fun. Thank you for visiting my blog and leaving a comment. I follow you on YouTube and I follow your blog. You are right in that my measurements and calculations are only approximate to show how the methods work. In fact, when we cut out our square and then match up the seam allowances we are using the diagonal measurement of the square not the side, so it will always come out slightly wider than twice our cut out. Most patterns already have this worked out for you, but f not, its gives you a rough guide. Wonderful vid. Very informative, clear and easy to follow instructions. Well I have never seen No 3 before and I will try that on my next bag. Thanks for the tutorial. 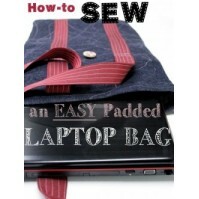 Just Love your ideas, explained so well, must try method three ASAP! great video! 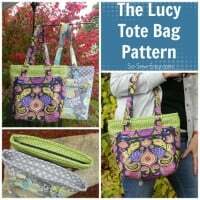 I have come across all 3 in my sewing travels – since I want to design an overnight bag – I now have 3 ways to do the bottom all summed up for me. 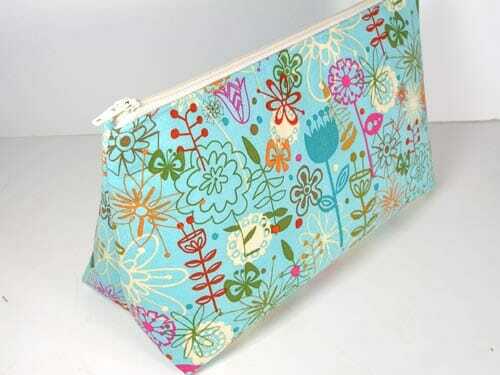 I am designing my own fabric on spoonflower in the canvas and making my own bag. such fun! thanks Deby! The third way is interesting. I haven’t seen that before. 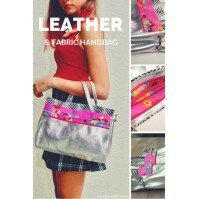 I’ve now got an idea for a simple fabric gift bag fermenting at the back of my mind. Thx Deby. 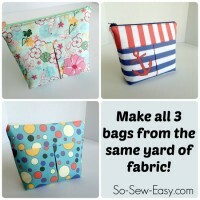 I love your blog, tutorials and patterns.